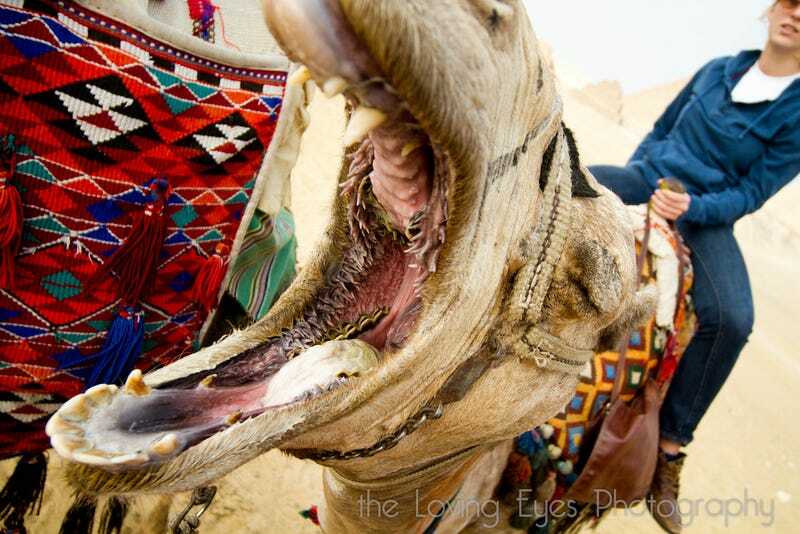 The mouth of a camel, like the mouth of a child, can be pretty unnerving to look upon. Countless fleshy fingerlings, tapered and tough, project from inside the creature's maw – but why? The leading theory is that camels evolved this unusual, leathery lining (a closer view of which is available here) to allow them to chomp on the prickly desert fare that sometimes constitute their diet. The camel's tough mouth is just one in a number of strange adaptations that allow these creatures to thrive in punishing desert conditions. A camel's kidneys and intestines, for example, are so efficient at reabsorbing water that their urine can take on the consistency of syrup, and their poop leaves the body bone-dry.